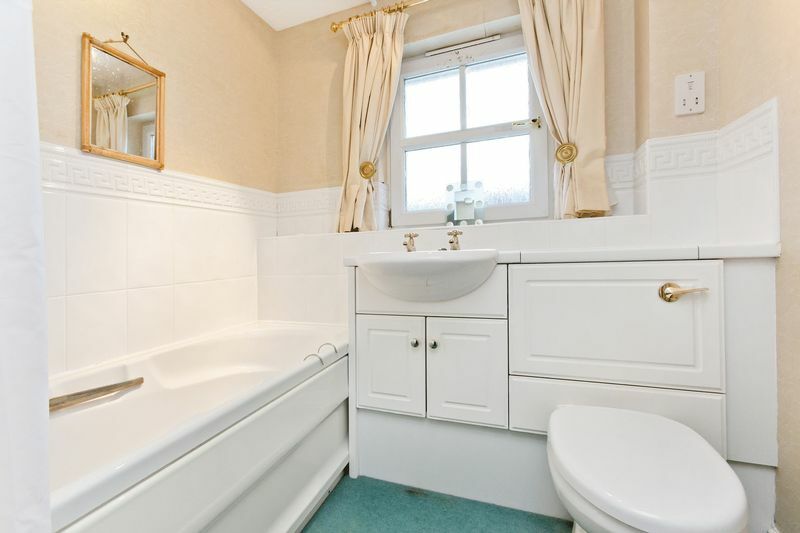 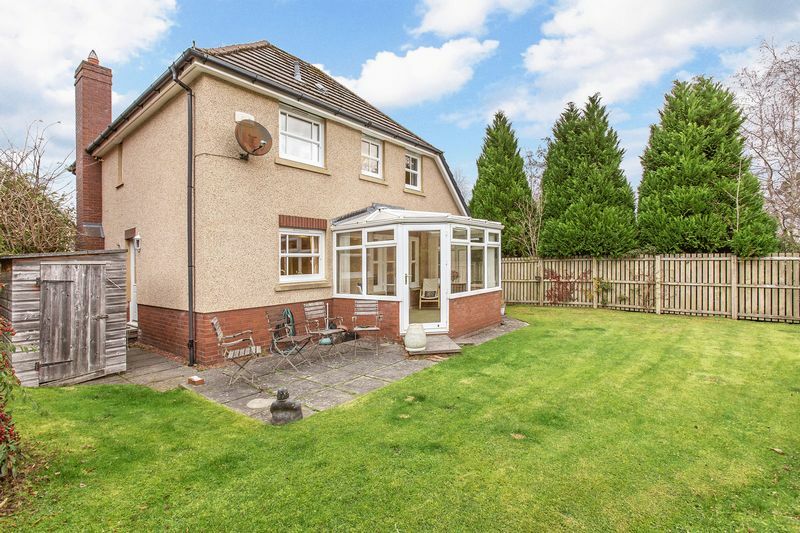 Promising a quiet residential setting in the historic town of Peebles, this modern detached house boasts four bedrooms, two bathrooms and three versatile reception rooms a delightful proposition for any growing family. 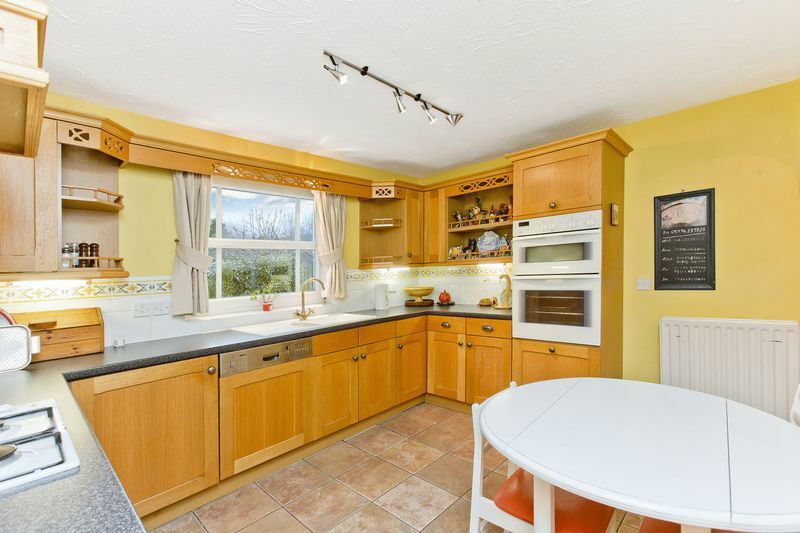 This appealing property is further enhanced by well-tended private gardens and excellent off-street parking, and lies within easy reach of the town and local amenities, schools and scenic surrounding countryside. Set beneath a charming porch, the front door opens into a spacious hall enjoying the practical features of wood-effect flooring, built-in storage and a WC. 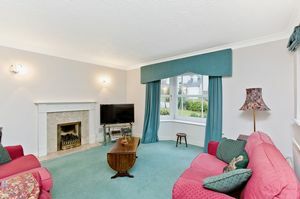 Leading off the hall is a squarely-proportioned living room with a bright dual-aspect outlook including a characterful bay window. Offering ample space for a furniture suite, this elegant sitting area is comfortably carpeted and supplemented with a coal-effect fire set into a traditional surround. 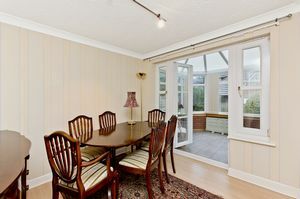 Across the hall lies a spacious and versatile dining room, which leads into a triple-aspect conservatory onto the garden; perfect for year-round entertaining. 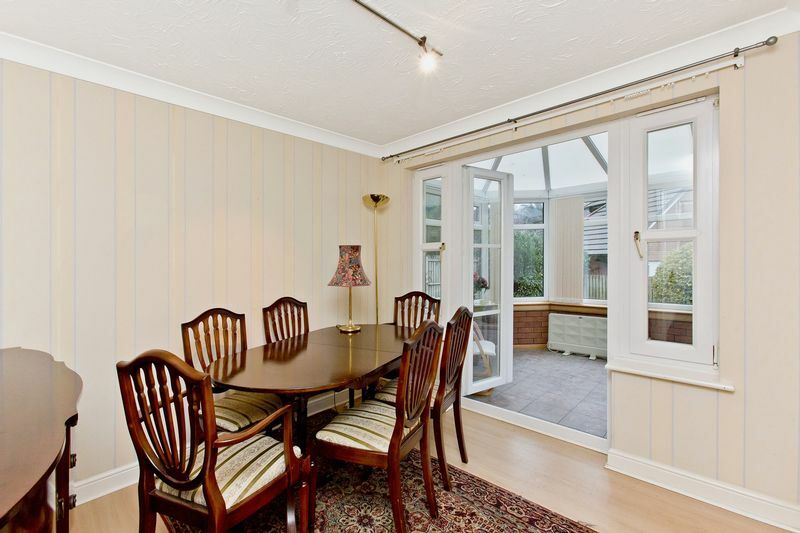 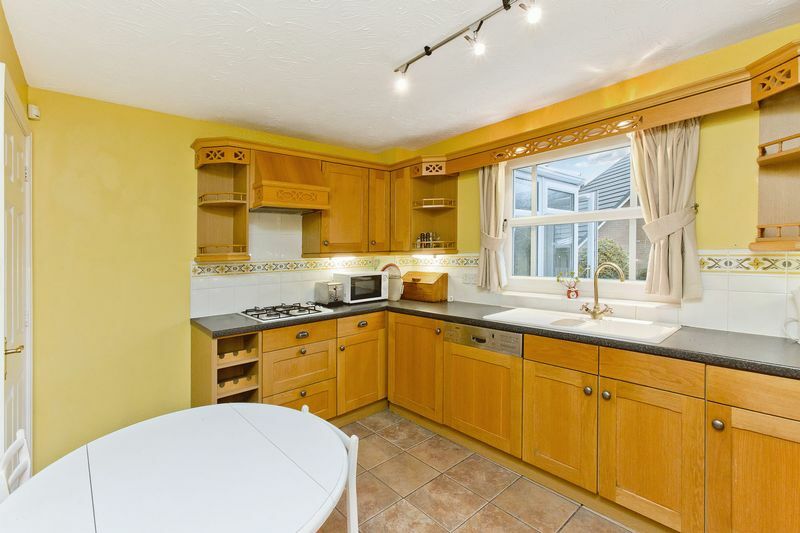 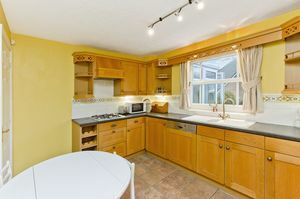 Completing the ground floor is a sunny, garden-facing dining kitchen. Here classic timber cabinets are topped with ample workspace, and house an integrated eye-level double oven, an integrated gas hob with an extractor hood, and a semi-integrated dishwasher. 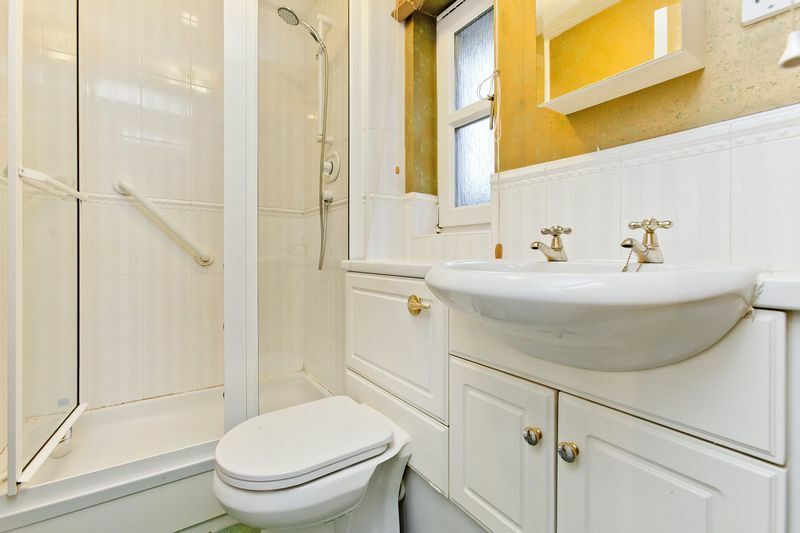 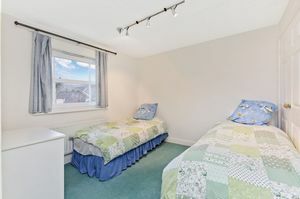 The adjoining utility room provides additional fitted storage and space for further white goods, as well as handy garden access. Upstairs the central landing (with storage) accommodates a master bedroom with twin fitted wardrobes and an en-suite shower room; two southeast-facing double bedrooms (one with a built-in wardrobe); a single bedroom; and a bright family bathroom with a WC-suite set into vanity storage and a bathtub with a hand held shower. 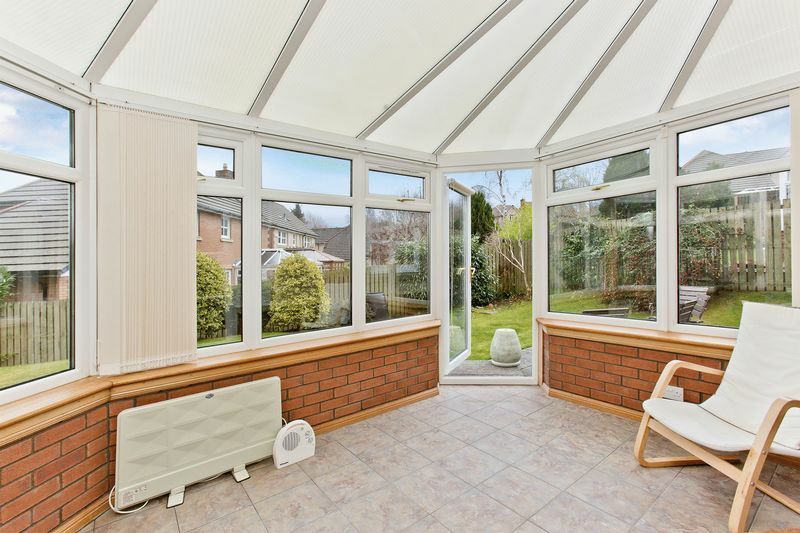 Gas central heating and double glazing throughout ensure optimum comfort and efficiency all year round. 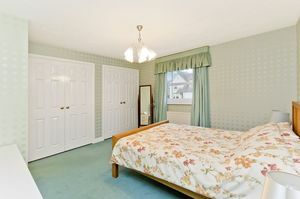 Externally, the house is complemented by private gardens to the front and rear. 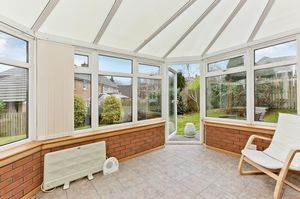 Fully enclosed for optimum privacy and security, the large southeast-facing rear garden features a well-tended lawn, a patio and a shed for external storage. 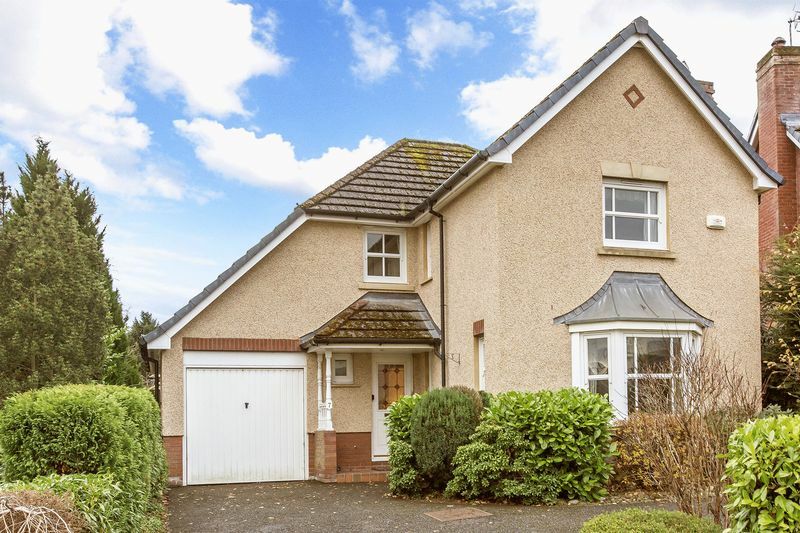 The generous driveway and the single garage provide off-street parking for multiple vehicles. 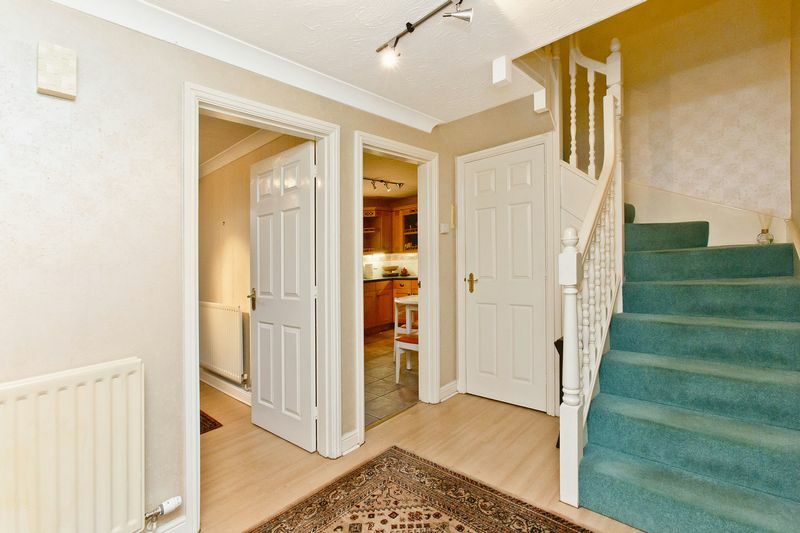 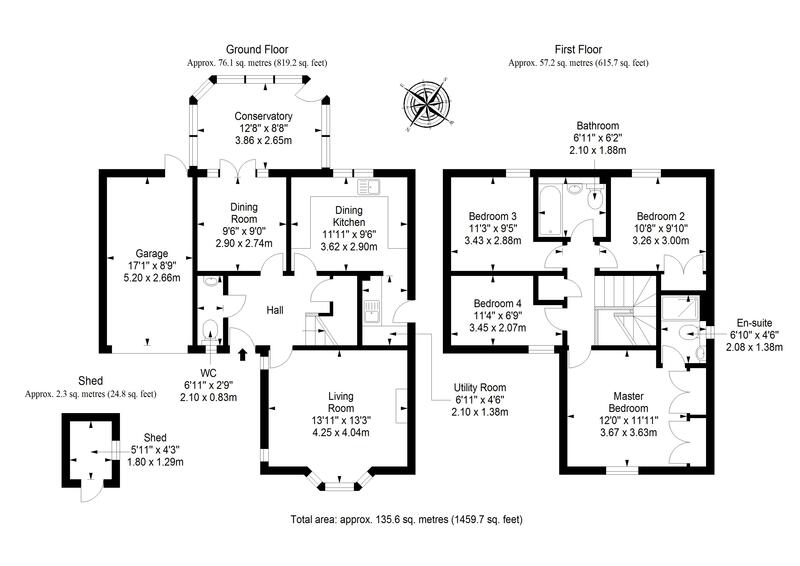 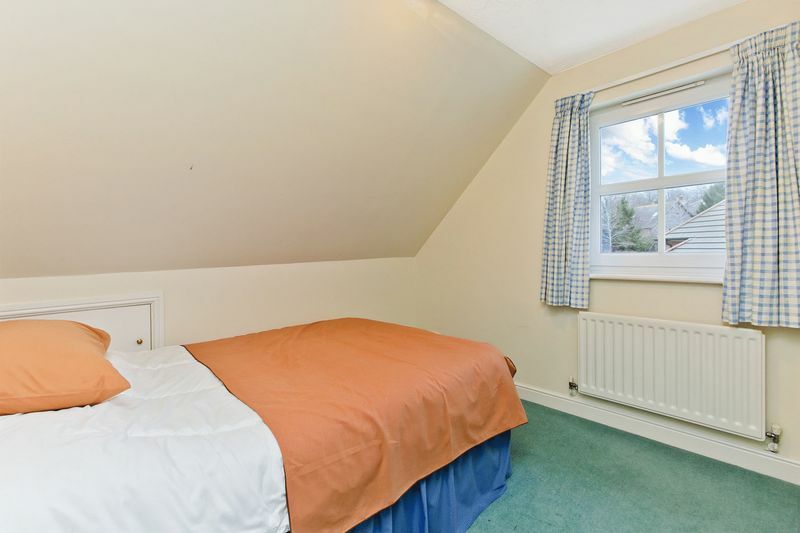 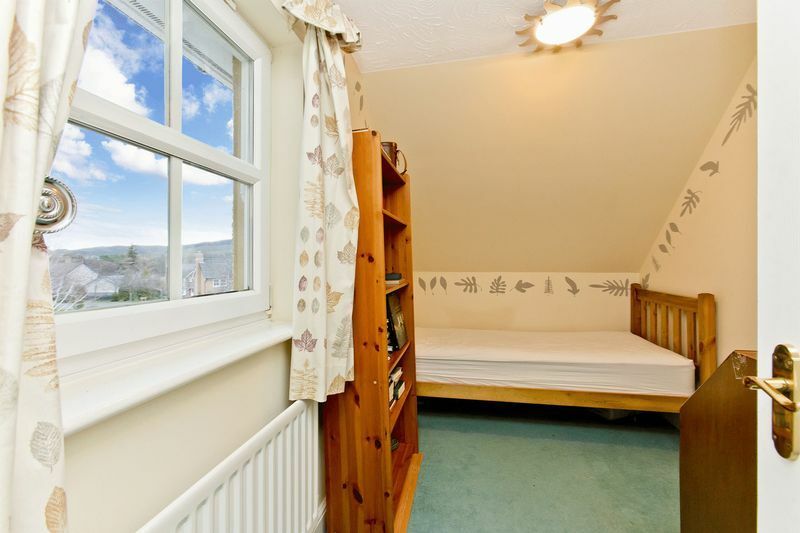 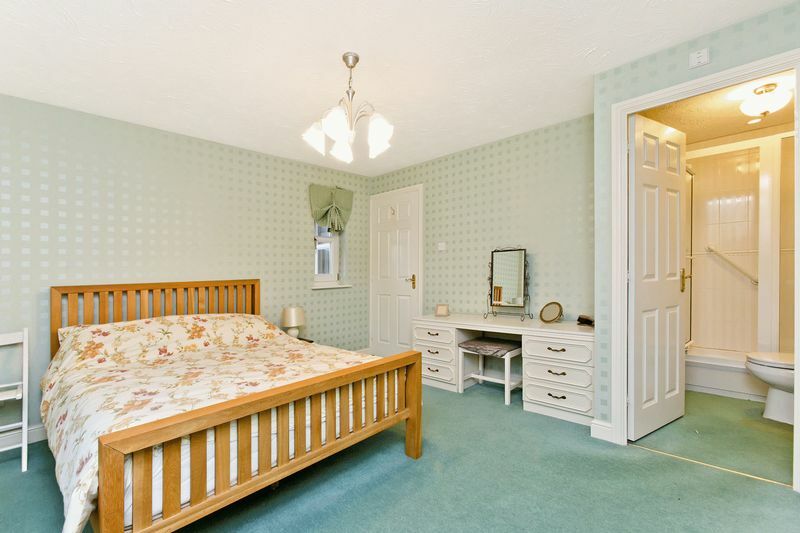 EPC Rating - D. Extras: All fitted carpets and all other floor coverings will be included. The condition on any white goods remaining will not be guaranteed.